Johann Michael Haydn, the younger brother of Joseph Haydn, was born in 1737 in the Austrian village of Rohrau. Following in his brother's footsteps he trained at the choir school of St. Stephen's Cathedral, Vienna where he was thought to be a brighter student than Joseph. After leaving the choir-school, he was first appointed as Kapellmeister at Nagyvárad in Romania and then, in 1762, at Salzburg where he stayed until his death in 1805, composing church and instrumental music. At Salzburg he became a great friend of Mozart who was nineteen years his junior. From the age of six onwards, Mozart would have regularly heard many works of Michael Haydn, and was undoubtedly greatly influenced by him. Later, the two composers often helped each other out. Mozart composed a set of violin and viola duos, to fulfil a commission which Michael was unable to complete, and when Mozart was asked to write two symphonies for his visit to Linz he in fact only wrote one. The second was by Michael Haydn, and was mistakenly catalogued by Köchel as Mozart's Symphony Number 37. The true authorship was only established in 1907. Mozart's father Leopold strongly disapproved of the friendship between Michael Haydn and his son since Michael was particularly given to heavy drinking. The Turkish March is scored for wind instruments and percussion. Mock Turkish music was very popular during the classical period, and was famously exploited by Mozart in his opera Die Entführung aus dem Serail. 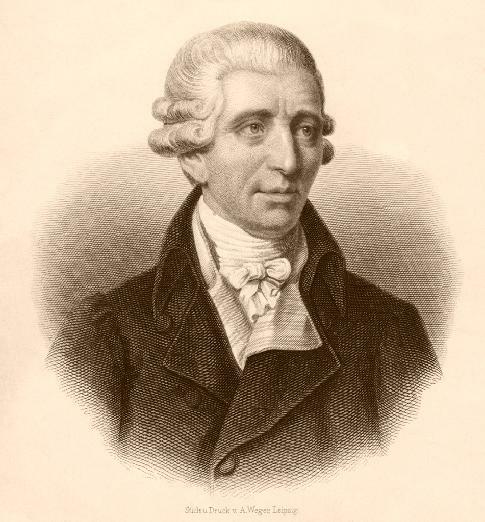 Haydn's work is typical of the genre having bright lively melodies given an exotic flavour through the addition of untuned percussion, particularly cymbals. Michael Haydn's Turkish March was performed by the winds of the Portobello Orchestra on the 23 October 2010, conducted by Anthony Weeden.